This page is a quick start guide showing how to add a new parser to Apache Tika. Following the simple steps listed below your new parser can be running in only 5 minutes. 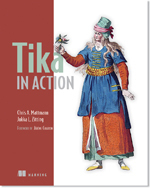 The Getting Started document describes how to build Apache Tika from sources and how to start using Tika in an application. Pay close attention and follow the instructions in the "Getting and building the sources" section. Tika loads the core, standard MIME-Types from the file "org/apache/tika/mime/tika-mimetypes.xml", which comes from tika-core/src/main/resources/org/apache/tika/mime/tika-mimetypes.xml . If your new MIME-Type is a standard one which is missing from Tika, submit a patch for this file! Now, you need to create your new parser. This is a class that must implement the Parser interface offered by Tika. Instead of implementing the Parser interface directly, it is recommended that you extend the abstract class AbstractParser if possible. AbstractParser handles translating between API changes for you. Pay special attention to the definition of the SUPPORTED_TYPES static class field in the parser class that defines what MIME-Types it supports. If your MIME-Types aren't standard ones, ensure you listed them in a "custom-mimetypes.xml" file so that Tika knows about them (see above). Is in the "parse" method where you will do all your work. This is, extract the information of the resource and then set the metadata. Finally, you should explicitly tell the AutoDetectParser to include your new parser. This step is only needed if you want to use the AutoDetectParser functionality. If you figure out the correct parser in a different way, it isn't needed.